If you're shopping for a new lens of some sort, you've come to just the right place. Here's ThePhoblographer's list of the best lenses you can get your hands on without breaking the bank. 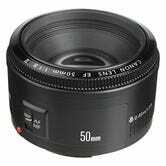 • Canon 50mm F1.8/F1.4: When I first moved to Canon, I started out with the Canon EF 50mm f/1.8 II. Though it has some slight quirks to it (autofocus is a bit hard to do at time and can be slow) it is still a wonderful general purpose lens and an excellent lens for when videos need to be shot at something like a concert. Stopped down to F4, it is wonderfully sharp. If you can afford it, the Canon EF 50mm f1.4 USM is much better and is one of Canon's best buys. • Canon 100mm Macro 2.8: Known as one of Canon's sharpest lenses, users will appreciate the versatility available with using a lens like this. One can go from shooting portraits, to macro products, to the fine details at a wedding, and to even sports shooting when put in a cropped sensor body like a 7D or a 50D (available at a rebate at the time of writing this article.) One really can't go wrong with the Canon EF 100mm f/2.8 Macro USM. • Canon 85mm F1.8: This is my second favorite lens in my camera bag. The Canon EF 85mm f/1.8 USM allows for super sharp portraits, headshots, and even candid moments when shooting events or a wedding. What's great is that you have a telephoto reach without having a really large lens that tends to attract attention: therefore making the photographer more discrete and also allowing them not to disturb their subjects. 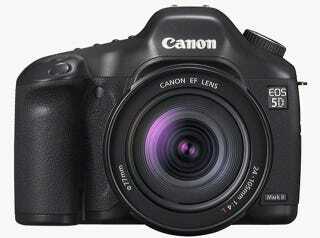 • Canon 35mm F2.0: The Canon EF 35mm f2.0 is a great lens for events or photojournalism type shooting. This lens is great for capturing environmental portraits, and also for giving a real feel for what the vibe is like at an event. Combined with a flash, it can be great on the dance floor of a party and delivers sharp results with wonderful color. • Nikon 50mm F1.8/F1.4: The Nikon 50mm f/1.8D AF is sharper than Canon's but doesn't deliver as pleasing out-of-focus areas. In fact, it's quite a bit sharper and comes with a slightly higher price as well. The Nikon 50mm f/1.4D AF is used widely at concerts and weddings in addition to photographers who capture portraits with cameras like a D300s. Many wedding photographers actually do this and deliver some fantastic and lovely results. I've seen some prints from photographers in Brooklyn shooting by the Brooklyn Bridge, and combined with their SB-900 flashes, it does some great work on quite the budget. 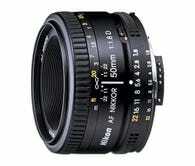 • Nikon AF-S 35mm F1.8: I've tried this lens on the Nikon D3x before. For the price, Nikon photographers get a lens that will stick with them in their bags forever. A lens like this is sharp, focuses surprisingly fast, and can be used for photo shoots, shooting couples, portraits, weddings, etc. 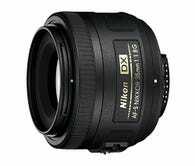 Many portrait photographers I know actually use the Nikon 35mm f/1.8G AF-S DX. • Nikkor 28mm F2.8D: Nikon's wide angle primes are becoming legendary, and the Nikon 28mm f2.8D AF is quite worth its weight in dollars. A lens like this is great for getting up close and personal with your subjects, like children, dogs, etc. Otherwise, it is great for shooting landscapes and some street photography. 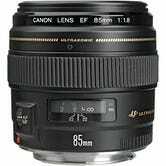 • Nikkor 85mm F1.8D: Although it's not the absolutely gorgeous F1.4, the Nikon 85mm f1.8D AF is a lens that is seen on many Nikon photographers' cameras. This lens is the essential lens for portrait photographers and those looking to do in studio work. Stopped down to around F2.8 it becomes super sharp. The feel and construction of this lens will also not disappoint. 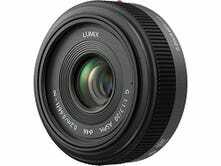 • Panasonic 20mm F1.7: As perhaps the most favorite lens amongst Micro Four Thirds photographers, the Panasonic LUMIX G 20mm f1.7 delivers wonderful results in all types of lighting and also does this in a small pancake type body. Zach Honig over at Tech, Travel Tuna and PCMagazine uses this on his GF-1, which he really loves. Some of the results I've seen deliver things I never thought possible on Micro Four Thirds. • Olympus M. Zukio 17mm F2.8: An alternative to the 20mm for those that want a wider field of view, the Olympus 17mm f2.8 Lens is still a great lens for the Micro Four Thirds system due to sharp image quality and wide aperture. 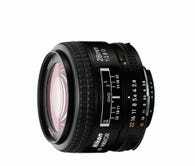 • Olympus 25mm F2.8: The Olympus 25mm f2.8 for Four Thirds is one of the most beloved lenses in the system. Vincent Pastore uses one (he wrote for this blog previously.) Additionally, most Olympus photographers carry it around when shooting for fun. • Sigma 24mm F1.8: This is a lens that anyone seriously committed to the Four Thirds standard needs to get if they are also on a budget. Though it isn't the Panasonic 25mm F1.4 that one would sell their soul for, the Sigma will still deliver very pleasing results to users. 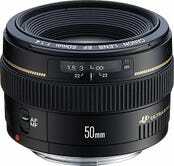 • Olympus 50mm F2 Macro: A 100mm on Four Thirds, this lens is great for events, macro work, products and portraits. The sharpness offered by this lens is really something to consider when you need a compact telephoto. ThePhoblographer is a site that reports on the latest trends and happenings in the photography world. The site also reviews gear in the field review format which tests gear in the way that photographers and enthusiasts would actually use them in real-life situations.